IN A bid to bring the ailing PSUs back on track, the Narendra Modi-led NDA government has decided to wind up the Board for Reconstruction of Public Sector Enterprises (BRPSE) may be on its way out and a new panel might be tasked to revive the sick PSUs. The BRPSE has not been successful in its job assigned by the government. The Centre has shut shop for the BRPSE as part of its new strategy to revive and disinvest sick public sector units. as March 17 that BRPSE was on its way out and to be replaced by a new panel. “The Government has decided to wind up BRPSE to streamline the multiple mechanisms for the revival of sick Central Public Sector Enterprises,” said a notification by the Ministry of Heavy Industries. Reports say that a decision in this regard was taken by the Union Cabinet at its meeting on November 7. DPE had in October issued fresh guidelines for the revival and restructuring of sick PSUs. In the meantime, the finance ministry is finalising the contours of a strategy for disinvestment in sick PSUs. The Prime Minister's Office had given its in-principle approval to the proposal of winding up BRPSE. It was set up in 2004 to sketch revival plans for sick state-owned companies. The move is expected to clear way for the government to sell stakes in most of the 65 sick central public sector companies or close down non-viable ones. The heavy industry ministry has already floated a Cabinet note on the closure of six companies — Hindustan Photo Films, Tungabhadra Steel Products Ltd, Hindustan Cables Ltd, HMT Bearings Ltd, HMT Chinar Watches Ltd and HMT Watches Ltd. 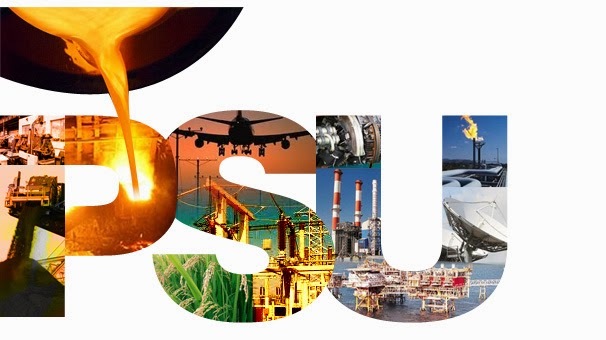 This government has identified six PSUs including Hindustan Photo Films, HMT Bearings and HMT Watches for closure and five units including HMT Machine Tools, Heavy Engineering Corporation and NEPA for restructuring this fiscal. The new panel is likely to be smaller in size to expedite decisions in respect of companies that have become a burden on tax-payers. The new panel may be headed by the cabinet secretary with representation from the administrative ministry under which the respective PSU falls. BRPSE has not been able to deliver the desired results because of various external factors, which include political pressures. A new mechanism is required for faster disposal of such cases. Once the panel comes into being, a loss-making PSU will be considered for revival only if it is operational in a strategic area or if banks are willing to lend it money without a government guarantee. In case a PSU has a market share of at least 10 percent, then the government may continue its efforts to revive such a PSU. Purely cheating public and sick psu slaves,next govt comes and wind up this new panel.Indian bureaucrats are highly talented they know how to TURN THE PSU TO SICK PSU. ,but this gentlemen's not having bit of knowledge for how operate the psu is profitably.They are having TONNES of ideas for closing the psu.Because of this irresponsible work the govt pay lacks and lacks rupees as salary for this bureaucrats. (this is also TAX payers money).They were not deserve for 7th pay commission salary.still 1987 pay scale psu employees in INDIA.no one can consider them.The govt must take severe action against this irresponsible OFFICERS.Fix the responsibility earn profit then give the pay hike to this bureaucrats. good decision from the indian government .